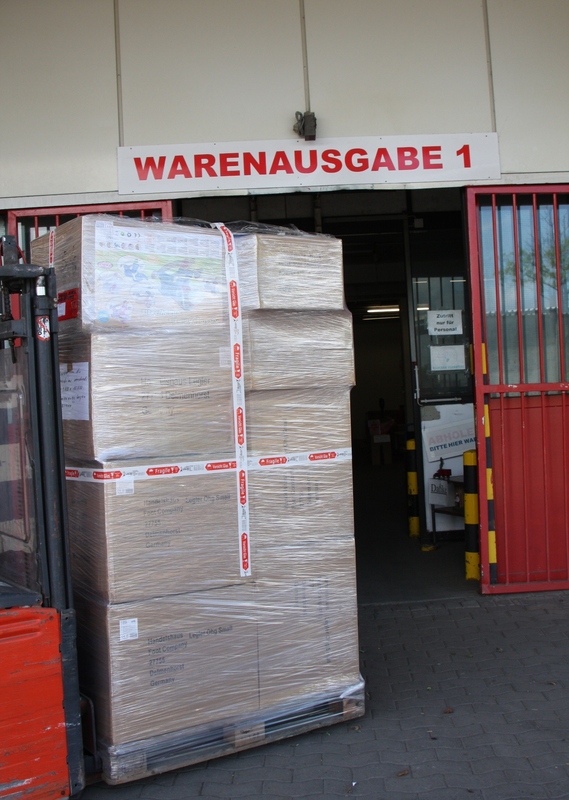 Behind the scenes with Tradinghouse Legler and our collection warehouse in Delmenhorst! The Traders‘ Journal team made their way to Legler’s external warehouse, which also doubles as a product showroom and pick-up point for customers who wish to collect their goods personally, to find out what happens here on a daily basis. 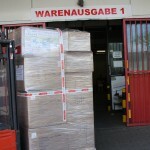 In this report, you will read how convenient it can be to collect your goods from our warehouse. The bell rings and a customer is standing at the counter and wishes to collect his order. Legler employee Andrea finds the corresponding purchase order and kindly requests payment. After payment, the customer takes the invoice to the pick-up point downstairs and can collect the goods. Customers are able to collect their goods within 48 hours after placing their order. Such a fast turnaround is not to be taken for granted, all departments within Legler work very close with one another. This enables us to offer such a smooth running service. In our main season from October to December our showroom and collection warehouse is open from 0900 – 1600 hrs. and the 6 person team work full-time. “The rush during this period every year is simply phenomenal“ – quotes Andrea. For the seasonal begin, the team has already chronologically sorted all the items to match the pages in our main catalogue. With the release of our spring / summer collection, an extra row of shelving is set aside (approx. 450 m²) to showcase the new and innovative products. 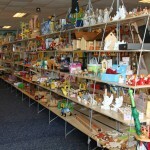 Throughout the year, the shelves are decorated with fitting product presentations corresponding with the time of year. This diversifies the tasks for the whole team, especially around carnival or Christmas time. During the course of the day, existing or perspective customers are on the lookout for a new product range and stop by and browse through the showroom. Every now and then the team are asked product related questions ‚How are they delivered?‘, ‚How easy is it to assemble?‘ – all these questions are able to answered there and then. When asked what part of the job is most enjoyable, every team member answered: The conversations with the customers are always very pleasant and informative. The bell rings again and the customer requires further assistance. They are searching for a few bits and bobs in larger quantities for their shop. Andrea leads the customer to the back of the showroom to another room filled with remaining stock. 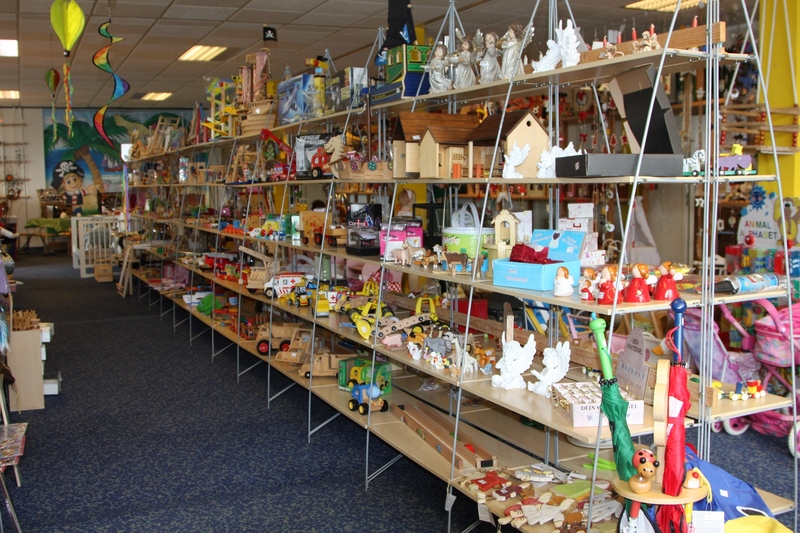 The items in this room are on offer at a reduced price – only while stocks last. 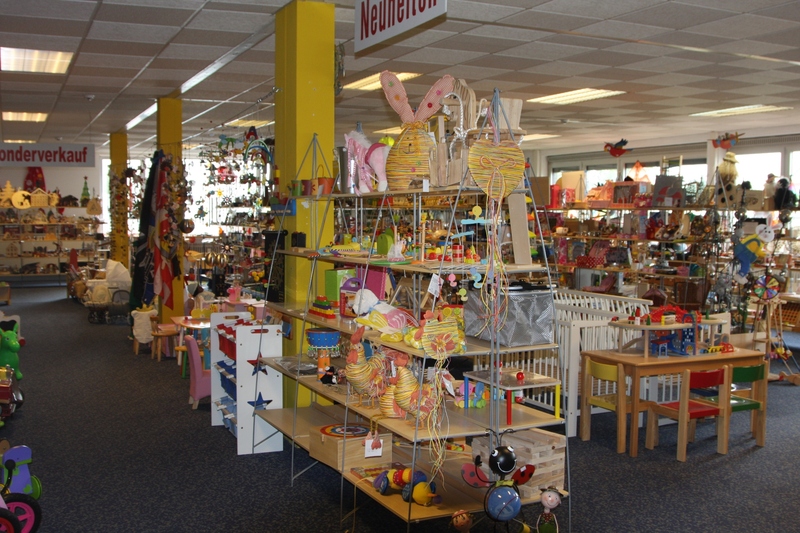 “The bargain hunters stop by on a regular basis and are always on the lookout for a good deal“, tells us Andrea. 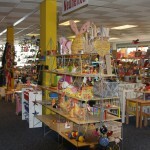 Retailers are able to purchase the displayed items and take them away the same day.